Home / Tips and Ideas / Why is pallet racking becoming so popular? Why is pallet racking becoming so popular? The logistics and distribution sector has recently experienced a period of almost unprecedented growth in the European Union, with Ireland and the United Kingdom being particular beneficiaries. The reasons for this are numerous, but most commonly cited is the increase in electronic commerce changing the nature of warehousing and distribution. As welcome as this expansion certainly is, it has been accompanied by a surge in demand for such safe, cost-effective and space-saving storage solutions as pallet racking in Ireland and other key locations. Found in storage facilities, factories, warehouses and even wholesale and retail outlets, pallet racking systems vary widely in their details but are all essentially designed to facilitate the storage of materials on multiple levels, thereby maximising storage capacity while minimising floor space requirements. Why has the popularity of pallet racking increased? Increased warehouse capacity – Pallet racking creates more vertical space for storage, while using relatively little horizontal space. This is, of course, critical for businesses that deal in the speedy and efficient distribution of large volumes of materials and whose profit margins prohibit the acquisition of additional storage facilities. Convenience and efficiency – The limited area of storage required by pallet racking systems also means that stock can quickly and easily be located and processed, saving personnel time that can be effectively deployed elsewhere and increasing the turnaround of stock. The latter is central to enhancing customer satisfaction and revenue. Cost effectiveness – The purchase and installation of pallet racking is usually simple and inexpensive in relation to the cost benefits accrued by such a time-saving and efficient system. Safety and durability – With solid steel construction, pallet racking is strong, sturdy and extremely hardwearing. It is also stable and reduces the risk of damage to stock and injury to employees and site visitors. In addition to saving money, pallet racking’s safety and durability helps to ensure that your business is complying with health and safety standards. With specialists such as rackzone formally duffy discount now providing a range of pallet racking and other storage solutions, businesses can optimise their use of warehousing space; in turn, this controls costs in this key element of the distribution chain. Controlling costs and increasing productivity are at the heart of business growth. 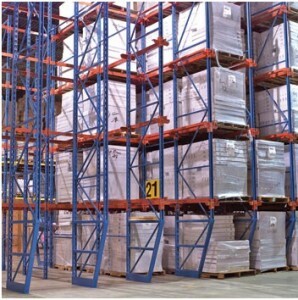 Pallet racking can make a significant contribution to these objectives.